When only one parent has custody of a child, the other non-custodial parent is required to pay child support. The amount of child support ordered depends on a wide variety of factors, and, in the absence of legal representation, there’s simply no easy way to determine precisely how much money a non-custodial parent will be required to pay. While the Department of Social and Health Services (DSHS) provides an online calculator to help you establish a rough number, the result of this calculation is merely an estimate. 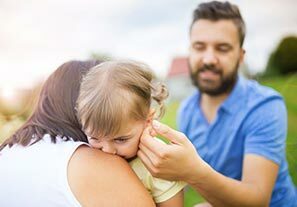 If one parent is self-employed or has a high or variable income — or when there are other costs involved with the upbringing of your child in addition to those associated with daycare and health insurance costs — the amount required of the non-custodial parent can differ significantly from what you expect. If you have questions regarding how much support your child should be receiving from their non-custodial parent, our skilled Washington child support attorney can help you calculate this sum and secure a legally binding order. Contact John L. Davis PLLC to learn more about how best to proceed with getting the amount of child support you and your kids need and deserve. Support orders can be established by either the courts or the DSHS. The courts and DSHS both rely on the Washington Child Support Guidelines to assist them in establishing the amount of child support required. The child’s age and the parents’ net incomes are two of the primary variables used to establish a support order. Other factors include how much time the child spends with the non-custodial parent, any special needs the child may have, and whether or not the parent paying support is already providing for another child. The state of Washington begins by adding up the incomes of both parents and subtracting their respective financial obligations. This calculation is reached pursuant to the proportion of total income each parent contributes. However, the state can choose to deviate from this amount if other factors apply, such as the presence of other income-generating adults in the household, or in cases where either parent enjoys significant wealth. At John L. Davis PLLC, we help our clients with the enforcement of existing child support orders. Contact our Vancouver office to schedule your initial consultation with our dedicated child support attorney. Attorney John L. Davis will have your back for as long as it takes to ensure that the rights and interests of your child are protected both now and in the future. John L. Davis PLLC represents Vancouver families struggling with child support cases. Call (360) 597-4740 now to discover how Mr. Davis can help you achieve the future you and your children deserve.